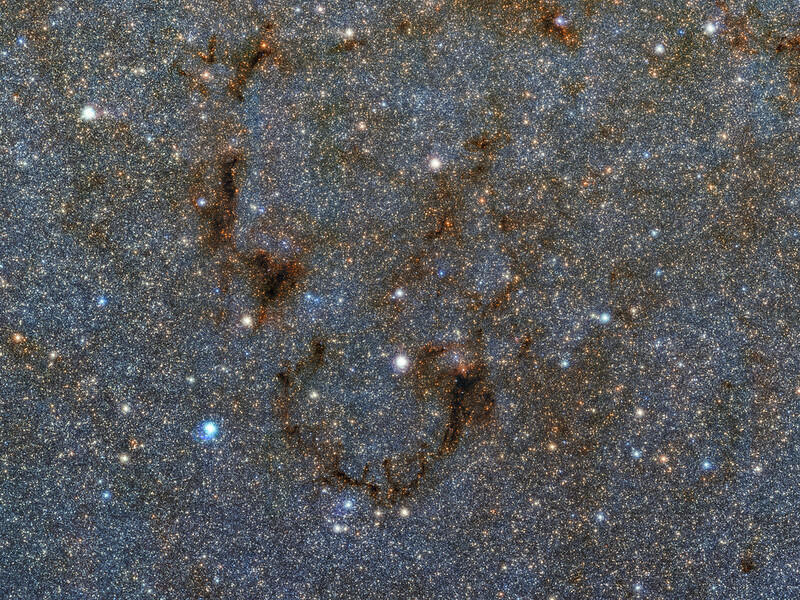 A sinister smile appears amid a sea of stars in this image — a small portion of a gigantic gigapixel colour mosaic of the Milky Way’s heart. Comprised of thousands of incredibly detailed images taken by ESO’s Visible and Infrared Survey Telescope for Astronomy (VISTA), the mosaic reveals more of the stars at the Milky Way’s heart than ever before. 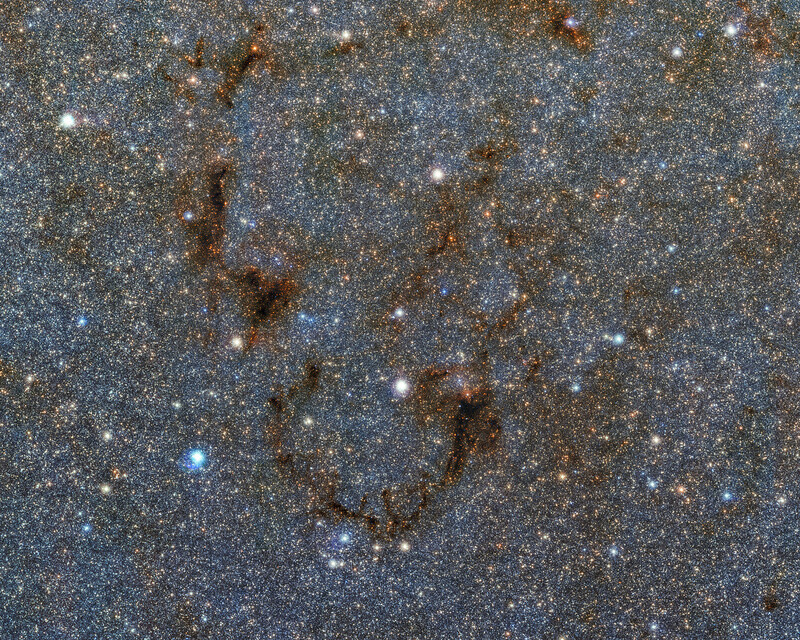 VISTA was chosen due to its extremely sensitive infrared camera, which can see through most of the dust that blocks our view towards the centre of the galaxy. What we see in this image is a dense patch of gas and dust — a nebula — that even VISTA’s camera cannot see through. 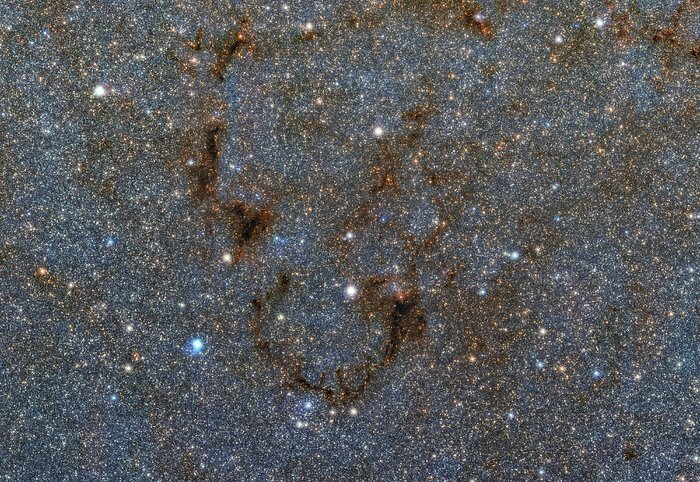 Located near the Lagoon Nebula (not seen), it appears to wink back as it mischievously blocks out the light from background stars. 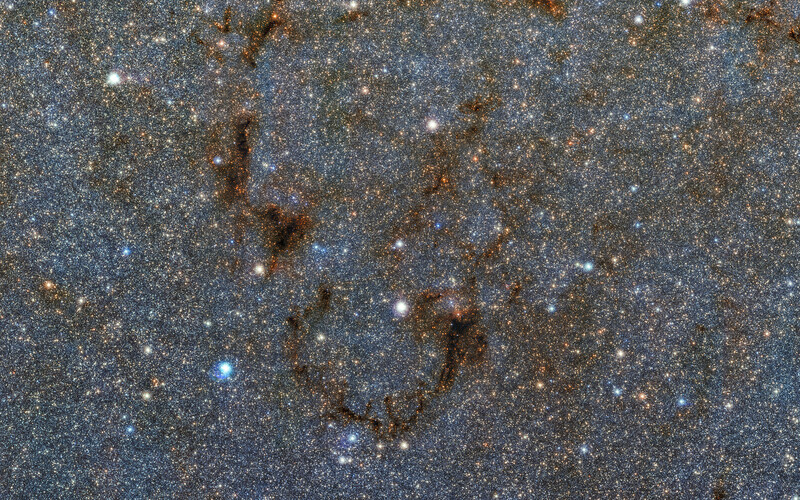 The full image contains almost nine billion pixels, and is part of the Vista Variables in the Via Lactea (VVV) survey, a project to image the Milky Way’s bulge and disc at near-infrared wavelengths. To create the colour mosaic, images at three different wavelengths were seamlessly combined. The full zoomable image can be explored online. Position (Dec): -23° 56' 7.15"